Introducing the Cashmerette Webster Top & Dress! As the summer finally starts in Boston, I’m thrilled to introduce you to our latest pattern, the Cashmerette Webster Top & Dress! 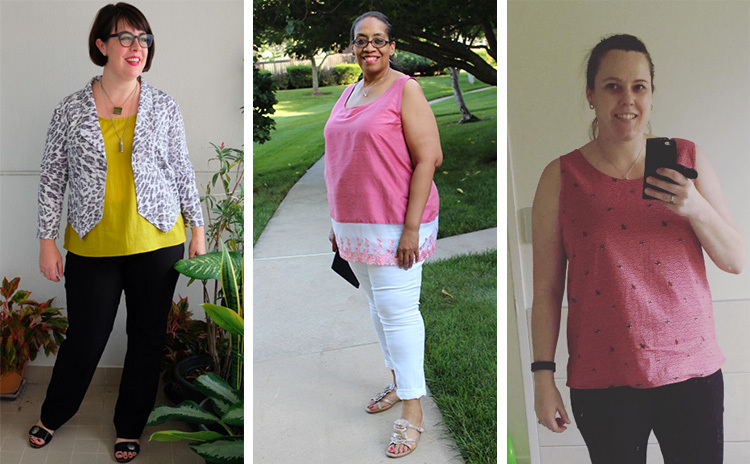 I’ve always wanted a cute, flowy summer top and dress with fashionable strappy details – but never been able to find one that didn’t flash my bra or tent from my bust. That’s why I designed the Webster Top and Dress – a flowy, chic and bra-friendly top and dress that you’ll reach for all summer long (Down under? It also pairs well with leggings and a cardi!). The Webster Top & Dress are fitted through the shoulders and bust, and then flare out with lots of ease for a floaty, breezy silhouette. They both have a V-neck front and back (just high enough to cover your bra band), cross-over straps at the back (don’t like straps? Just leave them off), and a high-low hem. 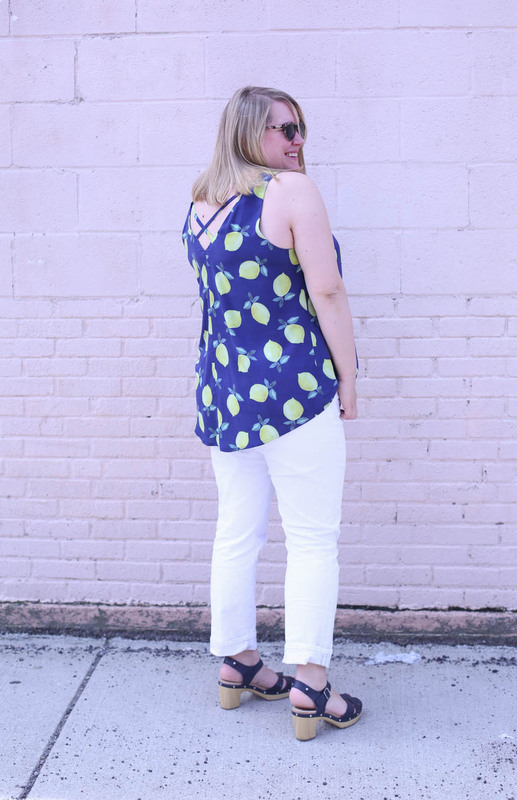 As always, Cashmerette Patterns have an armscye designed for larger busts, which means no side-bra flashing. 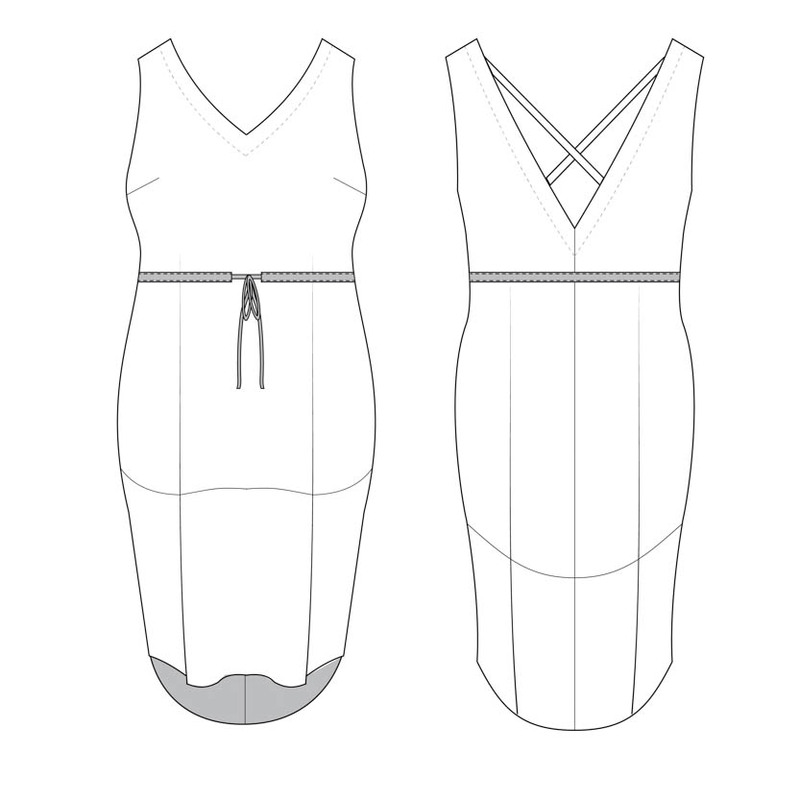 The top & dress have an all-in-one facing to get a beautiful flip-free neckline, and if you combine it with french seams, you can have fully finished insides. View A is a top/tunic length, which covers your bum at the back, and is the perfect pair for jeans or leggings. 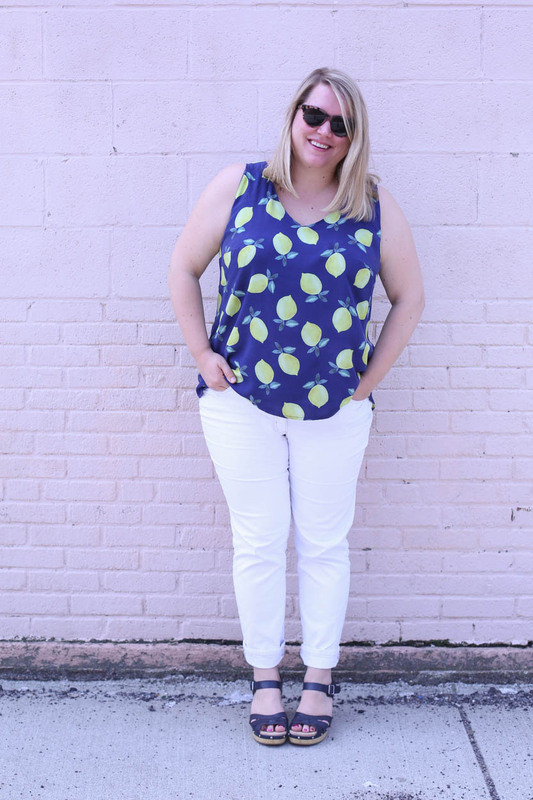 I’m in love with my rayon lemons Webster (it’s been quite a challenge keeping it off social media!). 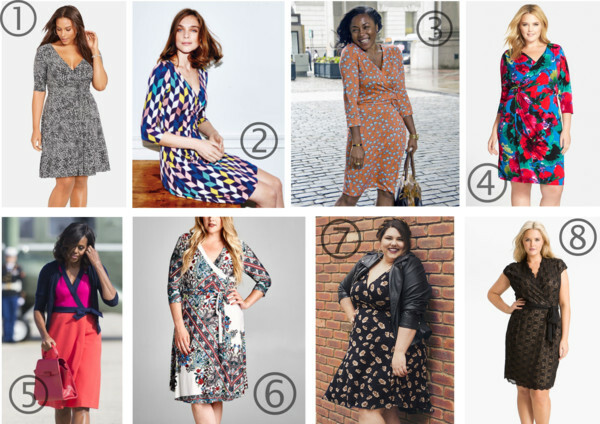 Want to make it a longer tunic? 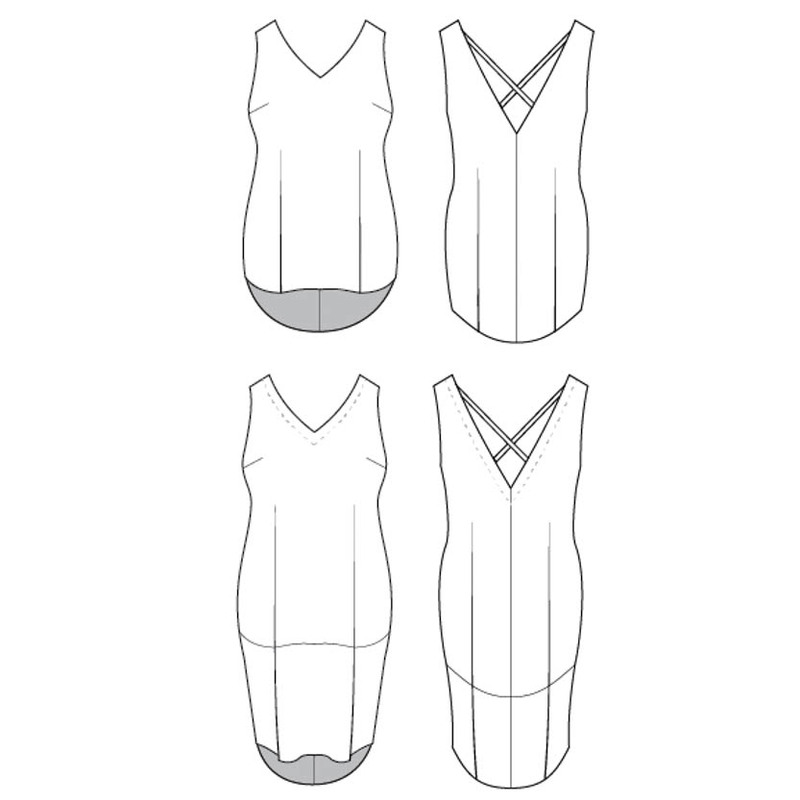 That’s super easy – just add length at the shorten/lengthen line on the pattern pieces. View B is the Webster Dress, with a deep hem band added to the bottom – use a contrasting fabric for a color-blocked effect! As designed (for 5’6″), it is just above the knees at the front, and just below the knees at the back. Again, you can shorten or lengthen to your heart’s desire. Make your Webster from a lightweight woven with a nice drape, like rayon challis, cotton voile or silk crepe de chine. I’m a huge fan of my washed silk and rayon versions! Depending on your fabric, this can be an every day garment for casual weekends, or a beautiful dress for special occasions. The Webster is rated as “advanced beginner” because of the floaty fabric used and constructing the all-in-one facing, but a brave beginner could definitely tackle this, and we’ll be doing a step-by-step photographic sewalong on the blog to help you along. The Webster Top & Dress comes as a beautifully printed pattern, or an instant gratification PDF download (with print at home and copyshop options). 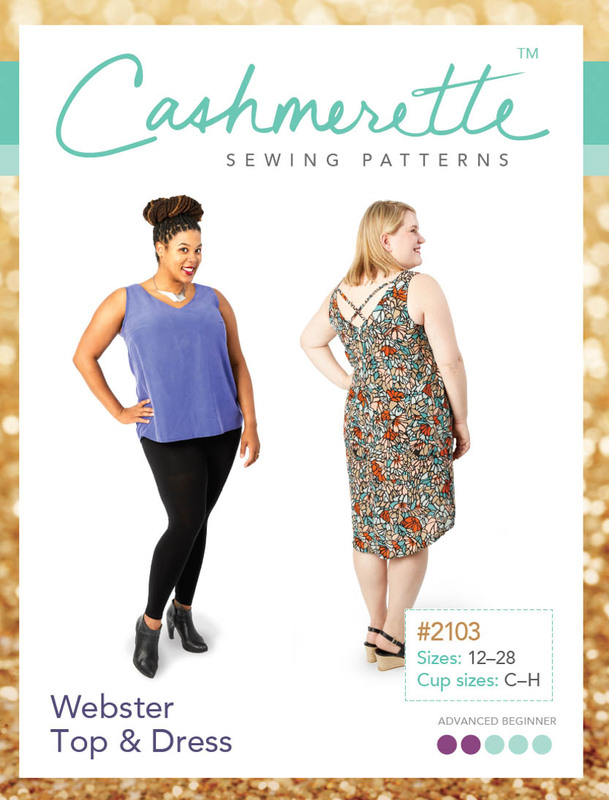 And as always, Cashmerette Patterns are designed for curves, in sizes 12 – 28 and cup sizes C – H.
The key to an amazing Webster is using the right fabrics, and we’ve sourced some amazing fabric kits for you! 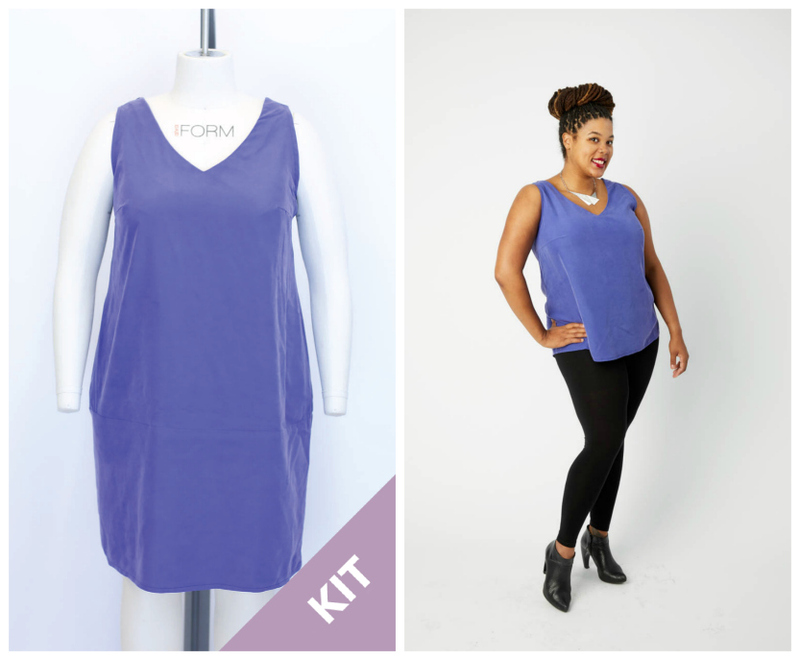 All the kits come with the fabric and interfacing you’ll need to make a Webster Dress (and if you make the Top, you’ll have some extra to make another garment! ), have the option of coming bundled with a printed or PDF pattern, or just the fabric & interfacing alone. This beautiful purple sandwashed rayon is being worn by Rachel on the cover. It’s hard to capture how amazing this is in a photo – it’s is super soft and drapey with an ever-so-slightly faded quality that’s achieved through sandwashing. It makes a truly beautiful understated Webster. And then we have a geometric rayon challis that’s worthy of sunglasses! 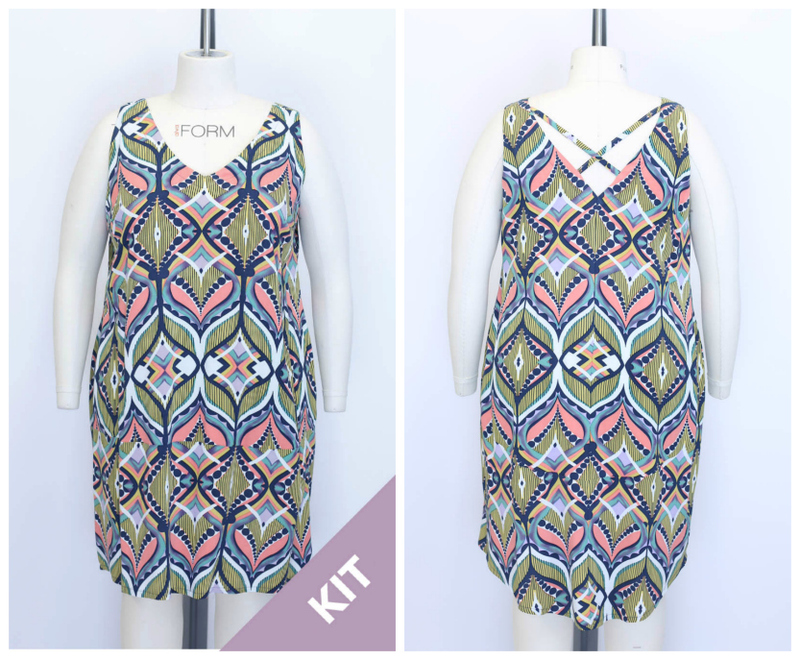 I love this bold, colorful pattern – perfect for a summery garment. The drape is wonderful and it is fantastically soft. There’s tons of potential for creative fun with the back straps (or you can leave them off if you prefer), which I’ll be showing you in the upcoming weeks – the only limit is your imagination! And, we’ll be doing a photographic step-by-step sewalong, helping you along each step of the way. I hope you’re as excited about the Webster Top & Dress as I am, and I can’t wait to see what you make! Make sure you tag your makes with #WebsterTop or #WebsterDress on social media so everyone can see your amazing garments. I finally have seen my Cashmerette pattern. So cute. Very cute, and duly ordered. My only wish is that, as with all sleeveless patterns, there was a sleeve option. I agree, Theresa. I love the pattern but like sleeves!